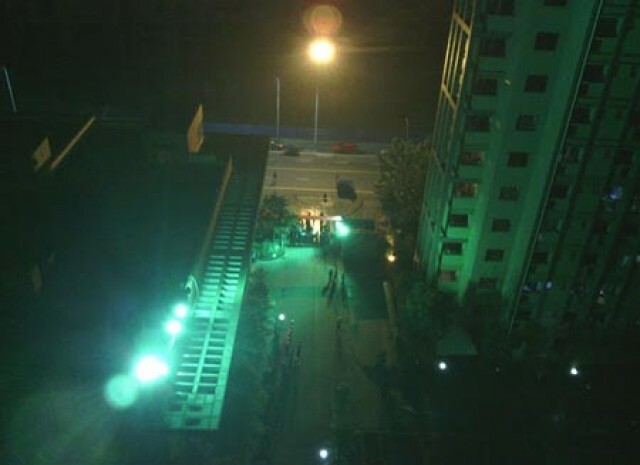 Cellphone pic of Chengdu workers rioting on Monday night. Despite Apple’s stated efforts to improve worker conditions at their Foxconn factories in China, worker tension is still high, as up to a thousand workers rioted in Chengdu last night for hours over a minor incident. According to Taiwan’s WantChinaTimes, Chengdu workers prevented a thief from being caught by Foxconn security guards, apparently due to some existing grudge. The altercation quickly escalated, and soon, up to 1,000 workers were hurling trash bins, chairs, bottles and pots from the upper floor of the dormitory where this took place. In addition, they fired off fireworks, and destroyed public facilities. The rioting was only suppressed after several hours by a veritable army of hundreds of police officers, who arrested dozens of workers. Foxconn’s Chengdu factory are where Apple’s iPhone and iPad displays are made. Apple CEO Tim Cook has pledged multiple times to help fix worker conditions in Foxconn factories, but a recent report says that despite Apple’s pledges, literally nothing has changed. Certainly, if an incident like this could get out of control so quickly, things don’t look good. Foxconn could be a powder keg ready to blow. Apple alleviating worker conditions in China might not just be in Apple’s humanitarian interests, but in their best preservational interests as well: more riots like this could potentially paralyze Apple’s global business.